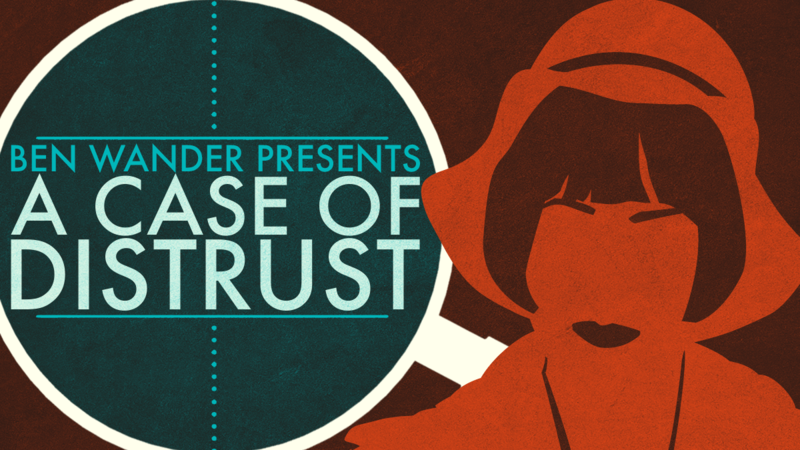 A Case of Distrust is a point-and-click, visual novel mystery game with a film noir vibe. It piqued our interest considering the genre reminded us of the Ace Attorney series, but the game was definitely strikingly different with the visuals and music. Different in a good way, of course. A Case of Distrust certainly had a different look and feel of its genre with a rich story. Gameplay for this game is pretty simple. Being a point-and-click game, you move your cursor around the screen and click on items in the environment as well as people to start talking to them. You have a notepad that keeps track of your current objectives as well as the evidence and statements you have collected throughout the course of the game. This is also, in a way, a choose your own adventure game. Sometimes you have dialogue options and you can move to certain areas in any order you want. However, it seems that the same outcome will happen no matter who choices you make or places you go. It’s a bit of a challenging putting all the pieces together. There are plenty of memorable characters to interview, trying to figure out who committed the murder that you are investigating and why. There are notes in the game – your objective, a basic summary of the case, evidence, and statements. However, it doesn’t get tricky to keep track of it all – especially if you stop playing for a bit. There are some key points you might forget. The music was definitely one of my favorite aspects of this game. Being set in the 1920s with the flapper movement and jazz, the music reflected not only the time period but also the genre. The music flowed with the murder narrative very well, keeping up with the story and changing the tempo — at times going completely silent — depending on the mood of the narrative. The music was spot-on. I’ve always had a soft spot for the film noir type music so it was a pleasure to have that on in the background as we played. The only downside was that we were playing together and we read out loud to each other so the music was drowned out some. The graphics were also quite interesting, being mainly solid colors with silhouettes of people and items popping out to create the scene. Rather than have a colorful or photo-like scene where we may be able to spot a clue, we were to click on every silhouette that we could, see if a line of observation clicks in our head (and notebook) for the case. This was definitely a unique art style choice and I enjoyed it. However, I will admit, at the beginning of the game I had a hard time keeping focused on it. The start of the story itself was a bit slow and there wasn’t much for me to look at in the meantime. It was cool and different though and I liked it. You play as PC Malone, a PI, who is hired by a man named Connor Green. No one trusts this man and you kind of don’t either, but take on the case anyway. Then things really get interesting and take a turn when Mr. Green ends up murdered. Originally, Mr. Green wanted your help in figuring out who sent him a threatening letter which, much like his murder later, doesn’t quite add up. Just as you start figuring out the letter, Mr. Green is killed and you decide to follow through with the case, despite no support from the police. The rest of the story is collecting evidence and statements from various people. The game itself is fairly short and it doesn’t take too long to sit down and figure out the case in one sitting. While there are plenty of options when talking to people — different statements to ask, different evidence to point out, different dialogue routes to reach the end — there is only one way to reach the ending. If you replay this game, it’d be for the visuals and music, perhaps to revisit the characters, but the story will be done. Overall, A Case of Distrust is a fun game. The beginning was slow, but once the murder happened it really picked up and we certainly tried our best to walk ourselves through the case – in and out of the game. This game was predictable yet it was unpredictable. I won’t say more due to spoilers, but it’s worth the play.